Movemeber officially ended today. 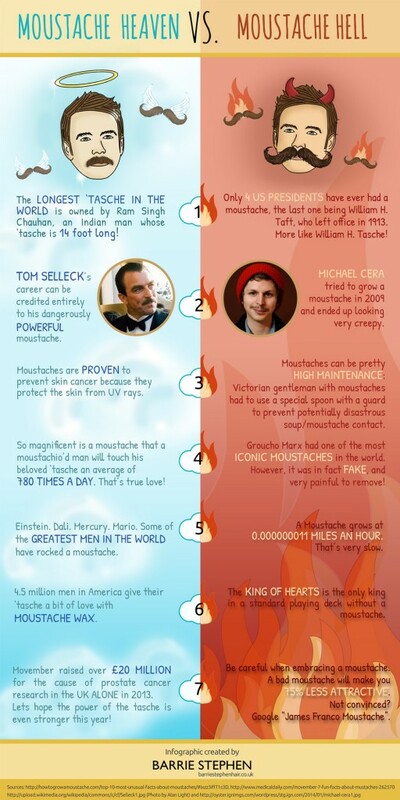 To celebrate, UK based hairdresser Barrie Stephen have created an infographic about Moustache Heaven and Moustache Hell, which includes facts about why moustaches can be completely awesome, or a bit naff. Did you know a bad moustache will make you up to 75% less attractive? Or that a man with a moustache will touch his moustache an average of 780 times a day? It’s Movember, the month formerly known as November, which is dedicated to growing moustaches and raising awareness and funds for men’s health. A moustache (Mo) will spark conversations, and no doubt generate some laughs; all in the name of raising vital awareness and funds for cancers affecting men. Why be so passionate about men’s health? Check out http://us.movember.com/about to join the “mo”vement. The stats are in- Chicago is the most “Moustache Friendly” city in the US. After a two year study by the American Moustache Institute, the “City of Broad Shoulders” won the title. AMI behavioral economists sought to better understand which top-performing metropolitan areas provide the most nourishing opportunities and livable communities for people of Mustached American descent. 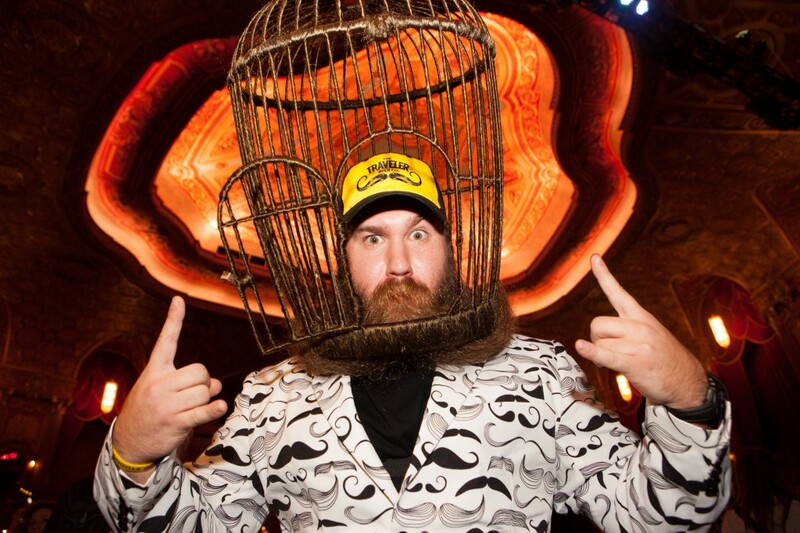 As a result, “Stache Bash 2011” will be held in Chicago on October 28th. Start growing your “stache” now and maybe you can sneak in.